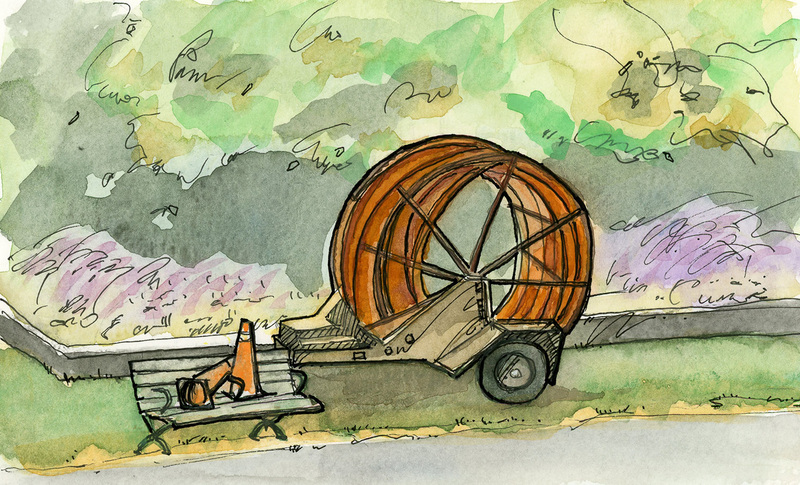 I saw this big orange spool this past fall in my neighbourhood. I didn't realize just how big the spool was until I noticed the orange pylons sitting on the nearby park bench. The big orange spool of tubing was for use in the infrastructure upgrade on the street where I live.